This year, I picked up a lot of books I wouldn't have otherwise read were it not for a bingo challenge at the book club. The Lover is one of them. Originally, I picked this one up for the "erotica" box but realized that I had been operating under the wrong assumption. I've read erotica, and this isn't one. The book's classification under erotica is, perhaps, due to the fact that the film adaptation focused largely on the sexual aspects of the story. But when you read this, you'd know. Instead, I put it in the "novella" box because it qualifies as one, having only a little over a hundred pages. 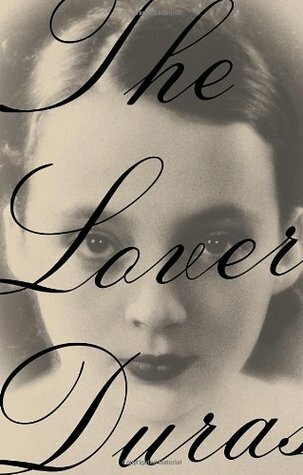 The Lover is an autobiographical work. Marguerite Duras was born and raised in the French colonial Vietnam, and this is supposedly the story of her life. I say "supposedly" because there was much issue later on about whether The Lover was an accurate depiction of her life in Vietnam. But she did say that it was autobiographical, and so the work reads like a memoir, with shifting POVs and jerky narration. She talked about her mother and brothers, who all apparently had no love for her, and her relationship - at 15 years old - with a rich Chinese man who became her lover. She did not love him, but he gave her comfort, and stayed with her until she departed back for France. The novel is incoherent at best. There was no continuity, the narrative was disjointed, the story wasn't engaging, and although the writing was nothing exceptional, I did not imagine that it would be so bad. It read like a detached account of someone else's experiences, written haphazardly and without further thought. Researching about the book led me to an article where Duras herself said that she wrote this when she was drunk. What else can I say? I just trudged through it because I really wanted to finish it - since it was so short anyway - but it felt like the longest novel I have ever read in my life. The only good thing about reading this? I marked one box off my bingo list.